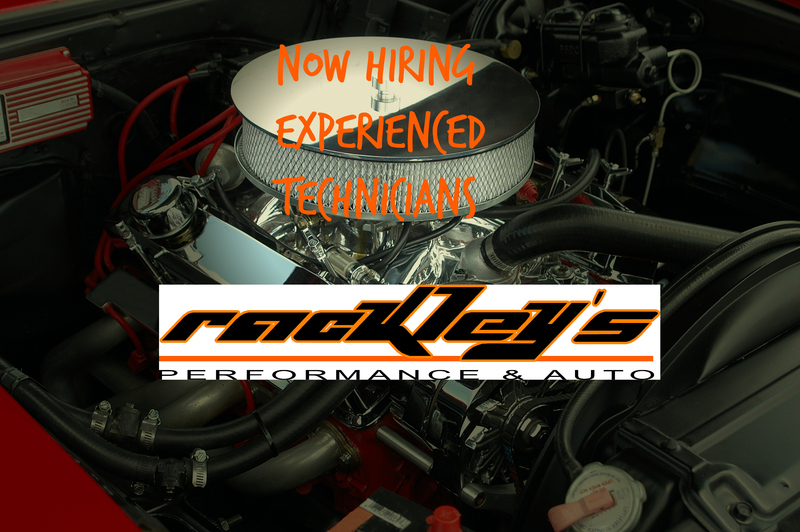 Rackley’s Performance and Auto in Wilmington, NC is looking for experienced auto technicians to begin work immediately. Must have tools, valid Driver’s License and be willing to work. Pay is based on experience. Contact owner David Rackley at 910-617-4671 for more details and to schedule an interview. Rackley’s Performance and Auto is the premier auto mechanic shop in Wilmington, NC. Servicing all makes and models from oil changes to engine rebuilds Rackley’s does it all. Located off Middle Sound loop next to the brand new Publix shopping center due to open Fall 2017! Rackley’s is open 6 days a week from 8 am to 6 pm.